The dominance of the Australian cricket team in world cricket began following their triumph at the 1999 World Cup under the leadership of Steve Waugh. From there on, the team were nearly invincible for the next eight to ten years as they won two more World Cups and two Champions Trophies during that period. However, Lady Luck played her part in Australia’s World Cup win in 1999 as they were nearly knocked out of the tournament in the Super Six stages, only for Herschelle Gibbs to unintentionally grant them a lifeline in the tournament. During the final Super Six match of the tournament at Headingley, Australia had to chase down a target of 272 against South Africa to qualify for the semi-finals ahead of Zimbabwe. 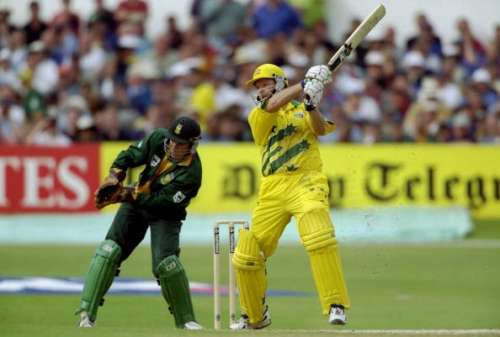 The Aussies were in a pickle at 48 for three with Ricky Ponting and Steve Waugh at the crease. However, the duo brought Australia back into the game with their half-centuries. 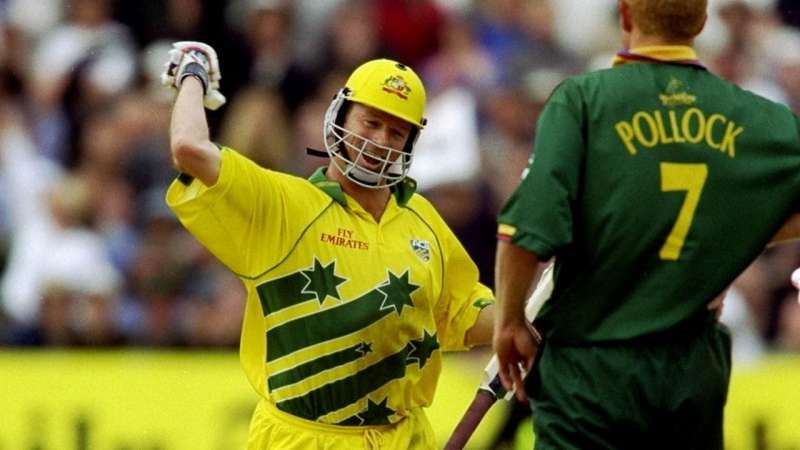 During the final ball of the 31st over, Lance Klusener bowled a delivery to Steve Waugh, who was batting on 56. The Aussie skipper got an inside edge and flicked the ball to midwicket where Gibbs got his hands to it before dropping the catch out of excitement. Extra Cover: What if Jonty Rhodes had not run out Inzamam-ul-Haq in the 1992 World Cup? Waugh had the last laugh as he went on to score a brilliant 120 and guided Australia to the semi-finals. The semi-finals, as we all know, ended in a tie against South Africa, and the Kangaroos reached the final by virtue of a higher net run-rate. The South African players might have wondered how different things could have been if Gibbs, who was one of South Africa’s finest fielders, had held on to the catch. Here are five things that would have happened if Gibbs hadn’t dropped Waugh in the super-six match. During the 1999 World Cup, Waugh put up a couple of fairly decent performances in the group stages, which was followed by innings of 36 and 62 in the first two Super Six games against India and Zimbabwe respectively. During Australia’s must-win match against South Africa, Waugh joined Ricky Ponting at the crease when Australia were struggling at 48/3, chasing a target of 272. He began his innings very slowly but then gradually began to speed up as he reached his half-century in 47 deliveries. When Waugh was batting on 56, he flicked a Lance Klusener delivery straight towards Gibbs, only for the latter to drop it. Waugh cashed in on this narrow escape as he went on to score his second ODI century and achieve his highest ODI score of 120 as Australia reached the semi-finals. This was followed by a crucial 56 from 76 deliveries in the semi-finals, which helped Australia come back from 68/4 to post a decent total of 213. South Africa managed exactly 213 in reply and the match ended in a tie, with the Aussies progressing to the final by virtue of a higher net run rate. Australia eventually went on to win the tournament and Waugh ended as the second highest run-scorer of the competition with 398 runs, 63 behind top-scorer Rahul Dravid.